Domme’s boutique hostels are located in the heart of the city, only few minutes away from the metro stations, tourist attractions and airports. Our hostels are created by combining one of a kind architecture, stylistic décor and clean surroundings all in one great location. The rooms are bright and spacious with modern decoration and interior allowing you to choose from accommodation in dorms or in a private double room or twin room. All rooms have ensuite facilities. 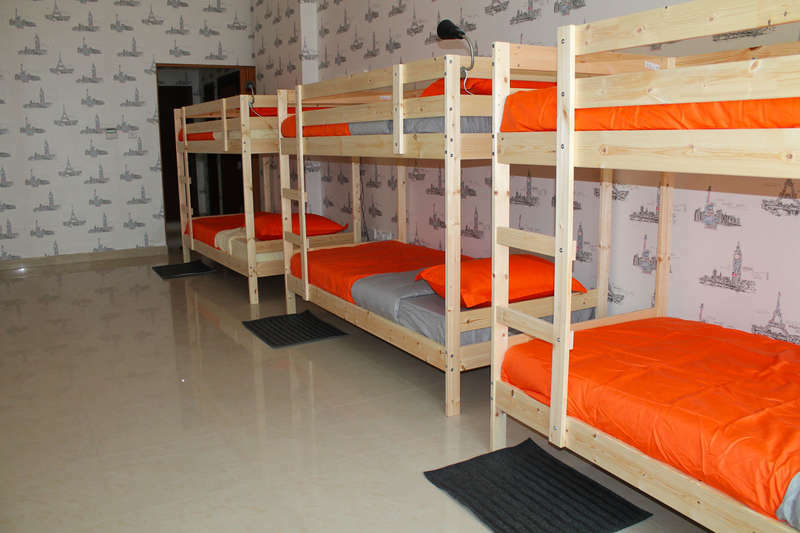 Domme hostels have a 24 hour reception and enthusiastic staff is an extraordinary experience that would make your memory a long and lasting one. Need a few tips for your things –to-do list? Ask us and we will surprise you. Domme offers free high speed Wifi in all rooms for travellers. Please contact reception for connection or any connectivity issues. Our premises are monitored by CCTV ensuring your safety. We also provide locker boxes that only open with your key card. Luggage storage services are available with us before and after checkout. Our fully equipped kitchen is accessible to all travellers. Laundry services are provided on demand. 24 hr cancellation before arrival. In case of a late cancellation or No Show, you will be charged the first night of your stay. Check in from 10:00 . Storage & Locker facilities available. Smoking. restricted to smoking zones.